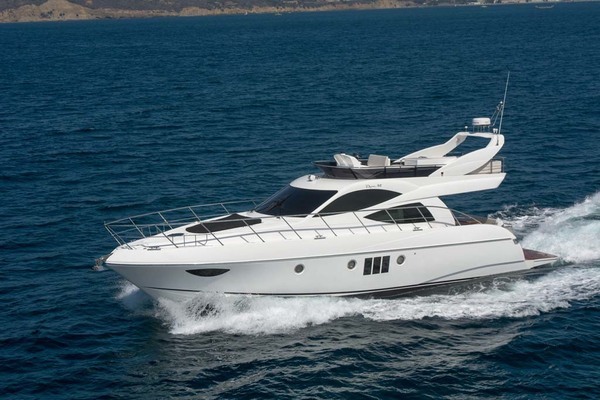 2019 Regency P65 Pilothouse Motor YachtAvailable this Fall!Still time for some custom appointments...Decompress as you step aboard a Regency Yacht. Designed for quiet beauty engineered to the finest detail each of our yachts is a moveable space that lives large.Crafted by a family-owned Taiwanese company who have been building yachts for over 50 years, our vessels offer five-star amenities along with excellent sea-keeping capabilities.Enjoy European sophistication and modern technology suited to your cruising style.Crafted with Distinction-Remarkable craftsmanship is reflected in subtle ways throughout the yacht including some of the finest handcrafted hardwood carpentry found in the marine industry today.Beautifully honed wood, granite, marble, and stainless steel are used throughout the interior.Every detail is attend to from distinctive wall coverings to European hardware and bronze tinted windows.Living Large- The open concept salon, pilothouse and aft deck providegreat socializing spaces with exceptional visibility from the helm both fore and aft.The salon offers a fabulous entertainmentcenter, including a custom-designed theatre system, beverage center with a wine captain, sink and stemware cabinet all encompassed in a handcrafted walnut cabinet.The salon's sumptuous furnishings invite guests to relax as they take in the view of the sea and sky.Fine Dining-Every detail of the chef's galley is calculated for maximum efficiency and elegance.Designed with ample room for two people to prepare gourmet meals side by side, the galley features first-class appliances, granite countertops, and a retractable splash guard.The oven and separate speed oven, four burner cooktop, refrigerator, dishwasher, and abundant freezer and storage space are chosen with a chef's ease in mind.Meals can be served on the elegant walnut dining table at the dining settee.Navigatewith Confidence-Take command of your Regency from one of the four helm stations, and set your coursewith thestandard Garmin navigation suite.Exquisite Craftsmanship -Traditional handmade quality and modern elements create an inviting environment that appeals to the senses at every turn.Seamless walnut woodwork with a smooth stain finish winds its way throughout the yacht.Horizontal wood grain adorns the walls echoing the wave patterns in thesea, an effect this is painstakingly achieved and soothing to the eye.European metal fixtures add a solid grace to every door and cabinet.Five-Star Luxury -From the full-beam owner's suite to the guest staterooms, to the main living space, the yachts is equipped with unique features and exquisite furnishings.Each Regency client works with a professional interior decorator to create a design suited to their own, particular cruising style.Every detail from window treatments, to toiletries is provided so that the yacht is cruise-ready from day one.Well-being Begins Inside -Life aboard a Regency Yacht feels like time spent in a five-star boutique hotel.The interior reflects the patterns and heartbeat of the open water in cozy, luxuriously appointed staterooms.Special touches such as spa-inspired heads with heated granite floors, custom mattresses, fine linens, and thoughtfully-designed storage spaces elevate the experience so guests can be the most relaxed version of themselves.Top Flight -The entire Regency Yacht exterior is designed for entertaining.Both fore and aft decks offer built-in lounge areas for friends and family to gather.The spacious flybridge is equipped with a private sunbathing lounge, a settee with glass-topped table, a fully-equipped bar with a refrigerator, sink, and an ice-maker.Guests can enjoy the flybridge barbecue and built-in TV as they relish their surroundings and the gentle ocean breeze. United Yacht Sales New Jersey would love to guide you through a personal showing of this 65' Regency P65 2019. 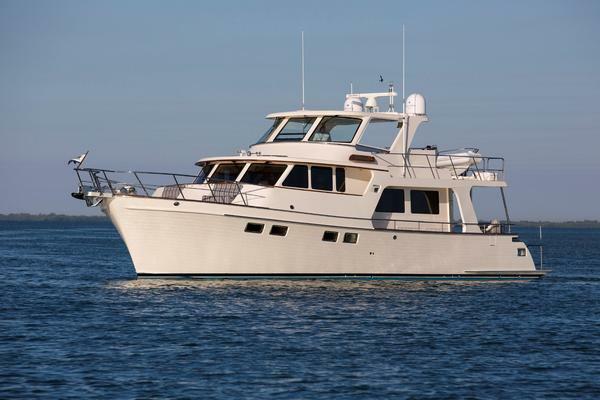 This yacht for sale is located in Seattle, Washington and priced at $3,395,000. For a showing please contact us by filling out the form on this page and we will get back to you shortly! Entertainment System which includes a stereo theater system, Samsung TV, and a KVH HD7 satellite TV. Olympia OL-105 Hydronic diesel heating system with a 220V AC boiler for heating the vessel when on AC power. The APEX 12' Eurosport center console tender is equipped with a 30HP Yamaha outboard and required safety equipment.